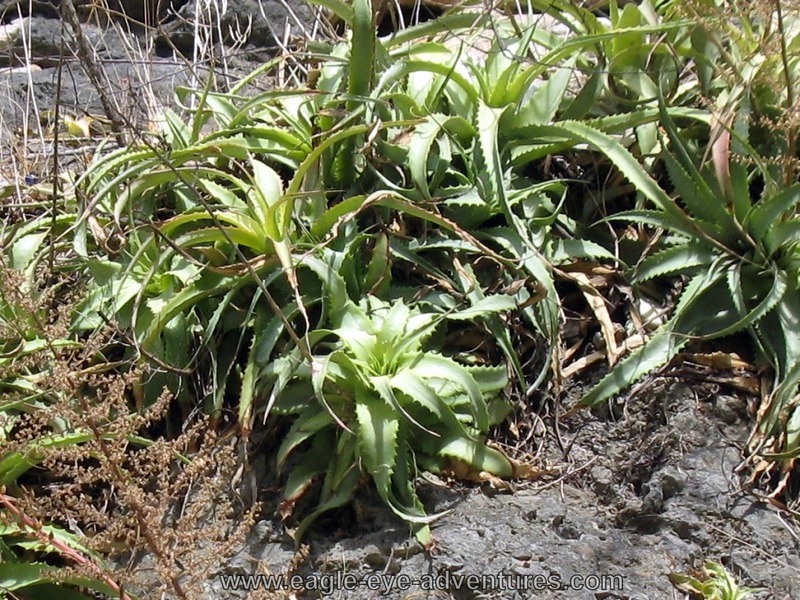 Most species of Hechtia specialize in growing in the toughest, driest ecological niches as they can. 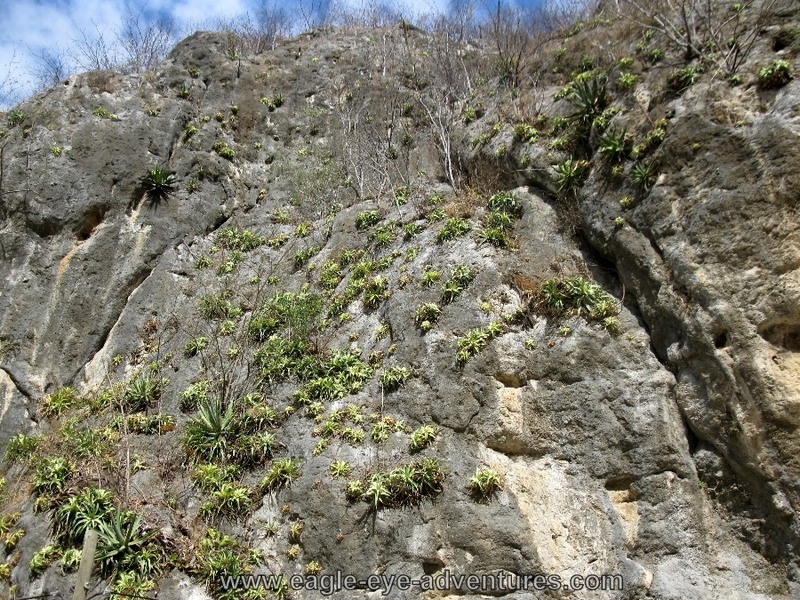 By growing in places like this the plants minimize the potential competition with other plants. If nothing else can grow there, there is no way for something to either crowd them out or shade them out. Usually this means that they grow in the desert, in broken rock faces, or loose rocky soil. This species is a bit different. 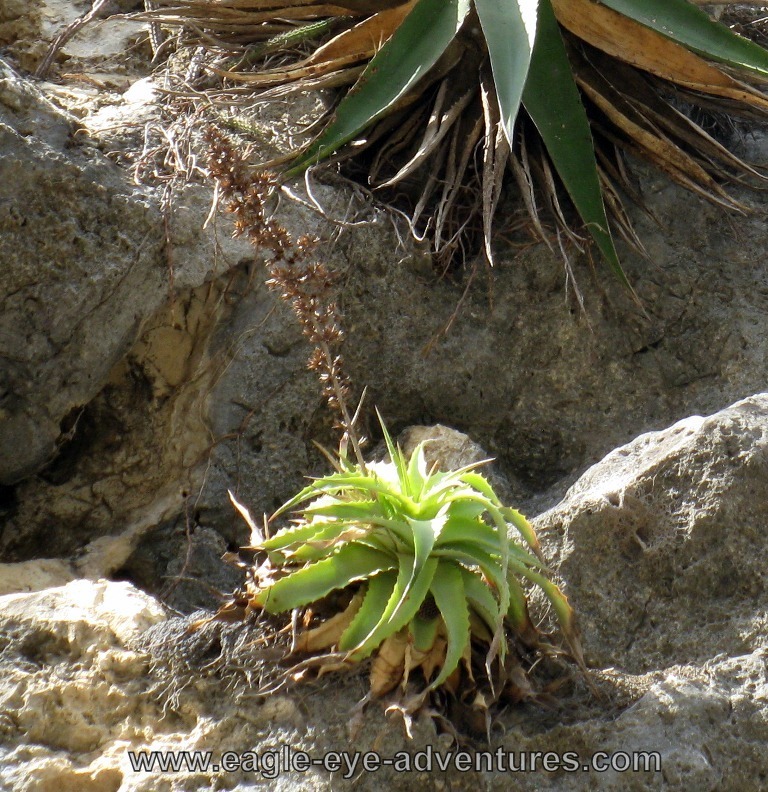 These plants were growing on boulders and the faces of solid rock! 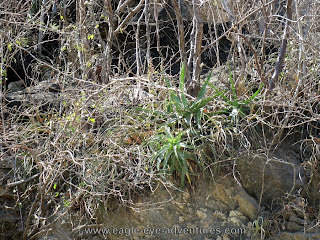 No cracks where the roots could search down deep for water hidden far under the rocks. It was great to see that the plants would cover the cliffs from top to bottom. From a distance they made the cliffs appear to be moss covered with a green glow. 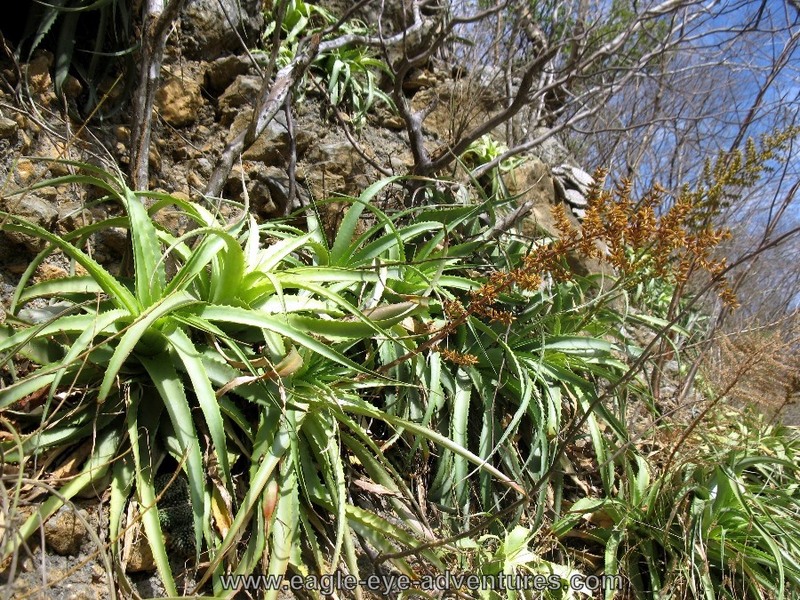 Just like most other species, these plants displayed a wide range of variability. 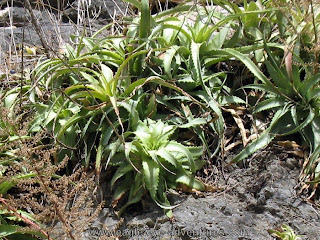 They were growing next to Hechtia rosea that was growing in the loose, rocky soil next to and underneath the rock faces (shown below). 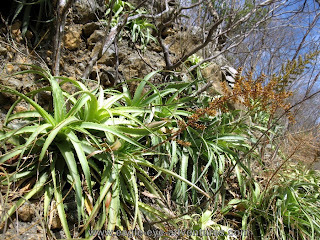 There appeared to be some natural hybrids among both species and I must speculate that those with longer, more narrow leaves show mixed characters of the two species (like the plant on the top and just right of center in the picture above). Some plants showed a bit more color when stressed. 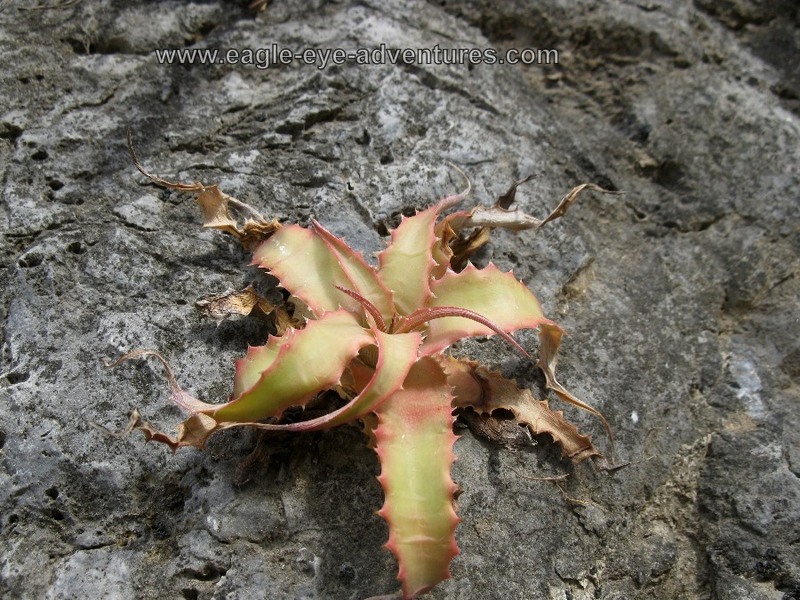 This seemed to be more prominent on seedlings like the little guy shown above. This species is a terminal blooming species. This means that they produce the inflorescence from the center of the rosette (the apical meristem). But they then produce an offset just to the side allowing the next generation to take over the growth. 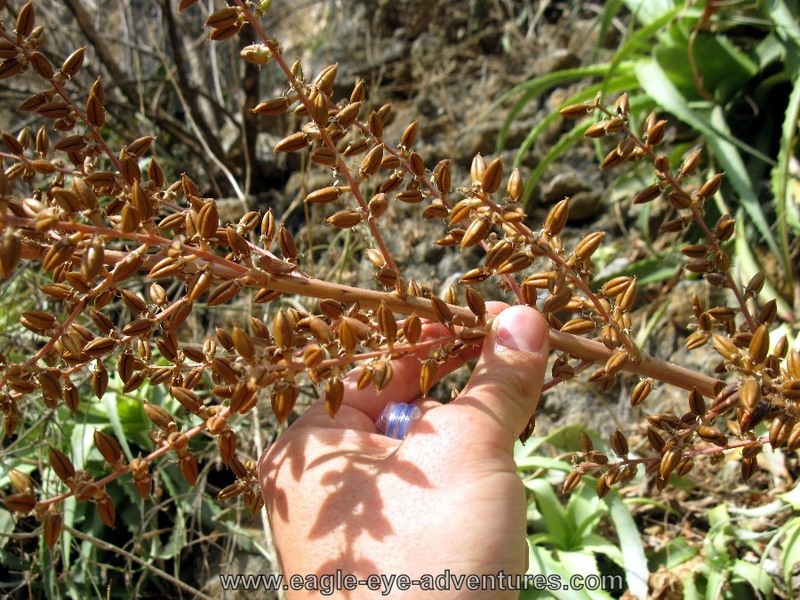 The females produce plenty of seed. 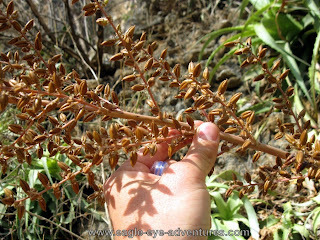 Judging both by the wide leaves and the structure of the inflorescence, I would say that this species is closely related to Hechtia glauca. Overall this is yet another Hechtia that makes quite a statement. 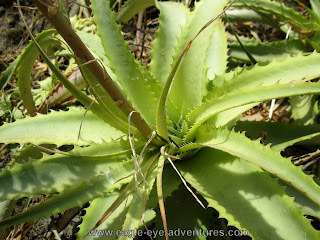 Definitely a great plant that is wonderful to see growing in the wild! 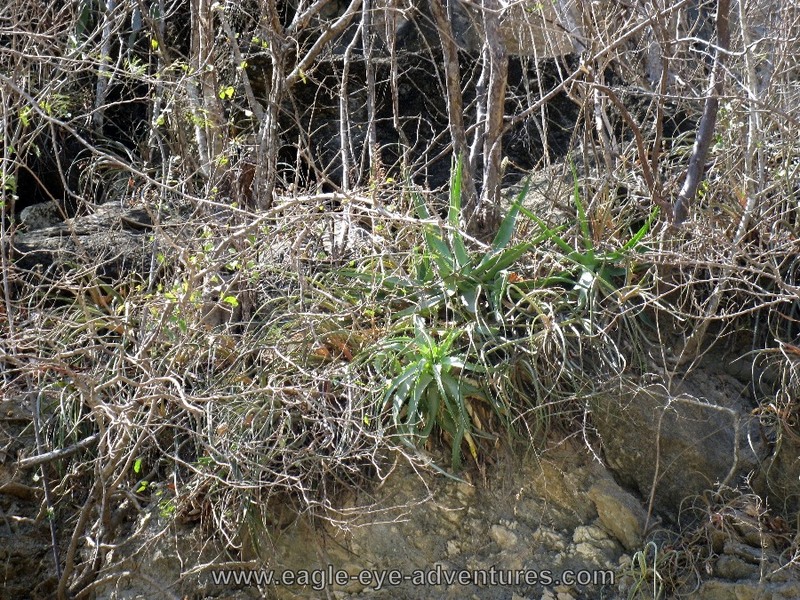 Here is one of the wide, green leaf species surrounded by Hechtia rosea--which looks like messy, dried grass but is another species of Hechtia.